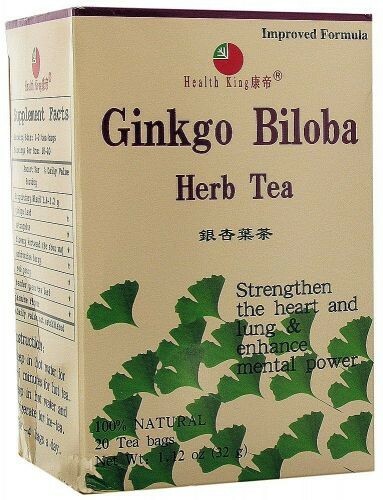 Ginkgo Biloba Herb Tea is made of wild ginkgo leaf. 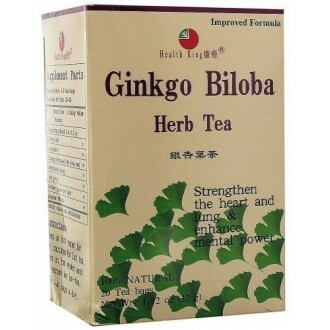 It contains bilobanone, ginkgetin, ginkgolides, terpenoids, flavonoids, sitosterol, vitamins B1, B2, etc. Chinese medicine uses them as lung fortifier, cardiotonic, to maintain normal cholesterol level, to improve cerebral vascular flow and oxygenation, and to enhance memory, mental clarity and alertness.